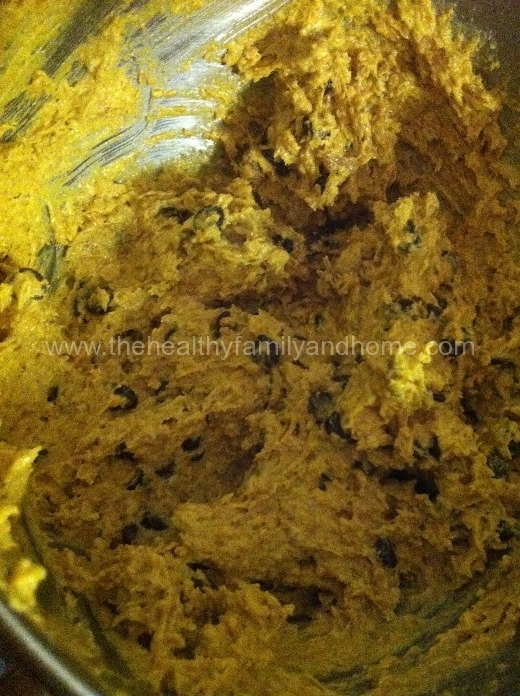 Well, here is my pumpkin recipe contribution to the blog world. On almost every food blog I’ve come across lately, there is a pumpkin recipe to welcome in Fall. 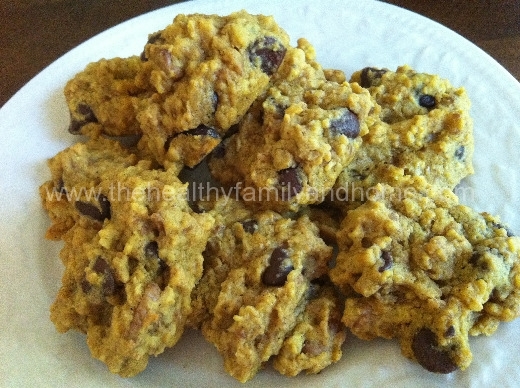 They remind me of a chocolate chip cookie but with a hint of pumpkin. The pumpkin flavor isn’t overpowering but just the right amount. And the vegan chocolate chips and walnuts takes it over the top! 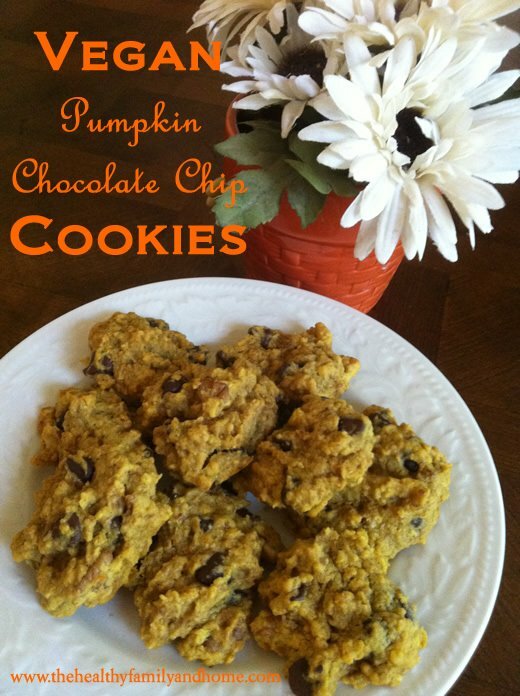 This is a fairly healthy recipe, as cookie recipes can be! And you probably will already have everything you need on hand…just grab a can or box of organic pumpkin puree next time you are at the store and you are ready to go! 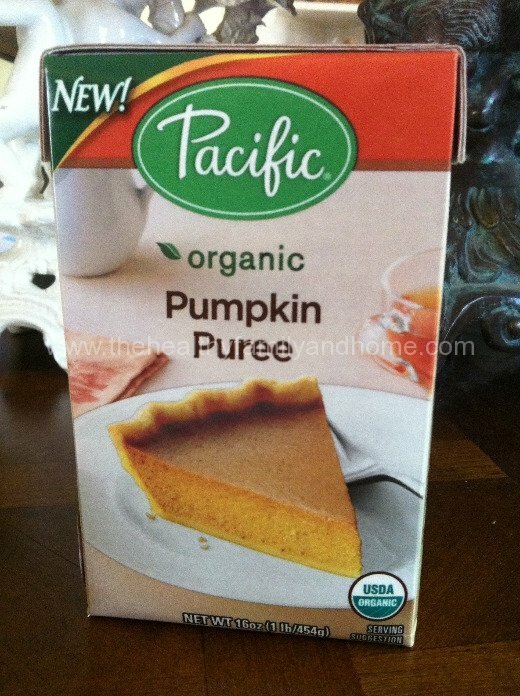 The ingredient list for the Pacific Organic brand I used below was: 100% organic pumpkin puree. The other good thing is that it comes in a cardboard tetra pak so you don’t have to worry about finding canned pumpkin that isn’t in a BPA lined can. Step 1 Combine all the dry ingredients (except vegan chocolate chips and walnuts) together in a medium sized bowl or Kitchen Aid mixer. 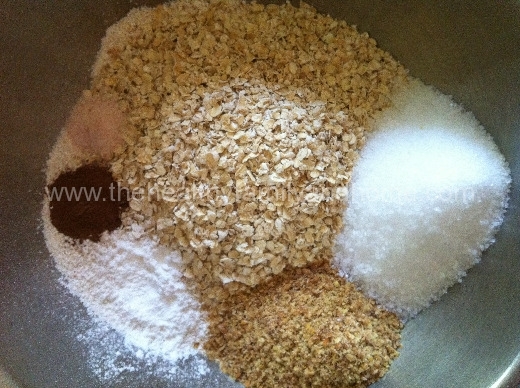 Combine all the wet ingredients together in a medium sized bowl. Slowly combine the vegan chocolate chips and walnuts into the mixture. Drop dough by the tablespoon onto your baking sheet. Bake at 350 degrees for approximately 8 - 10 minutes or until lightly browned.